You don’t need to flushe’m, no. it’s sort of a vice. like cheese is loved by mice. 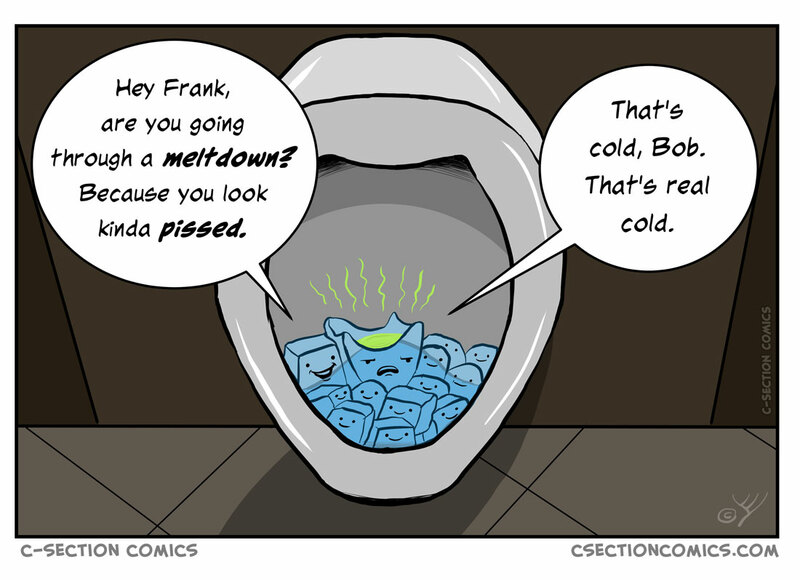 So yeah, ladies, some urinals have ice in them. The reason? Some men don’t flush. 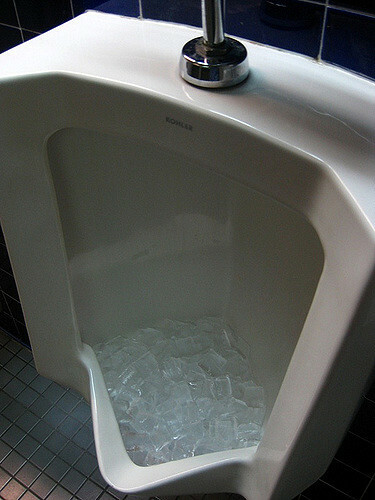 Putting ice in urinals is a flushing alternative, as it slowly melts and flushes the urine away. It forms a cheaper, eco-friendlier alternative to electronic automatic flushing mechanisms with sensors. It’s ideal for places which already store large amounts of ice, such as restaurants, clubs, pubs and bars. The 12 types of people you find in urinals. What it’s like to meet Sir Patrick Stewart. Never ever miss a cartoon – follow my Instagram page or subscribe by mail (zero spam, my word). And if you’re a Facebook follower, make sure to mark “see first” for our page, otherwise the Facebook algorithm may hide our comics from your feed. What about you? 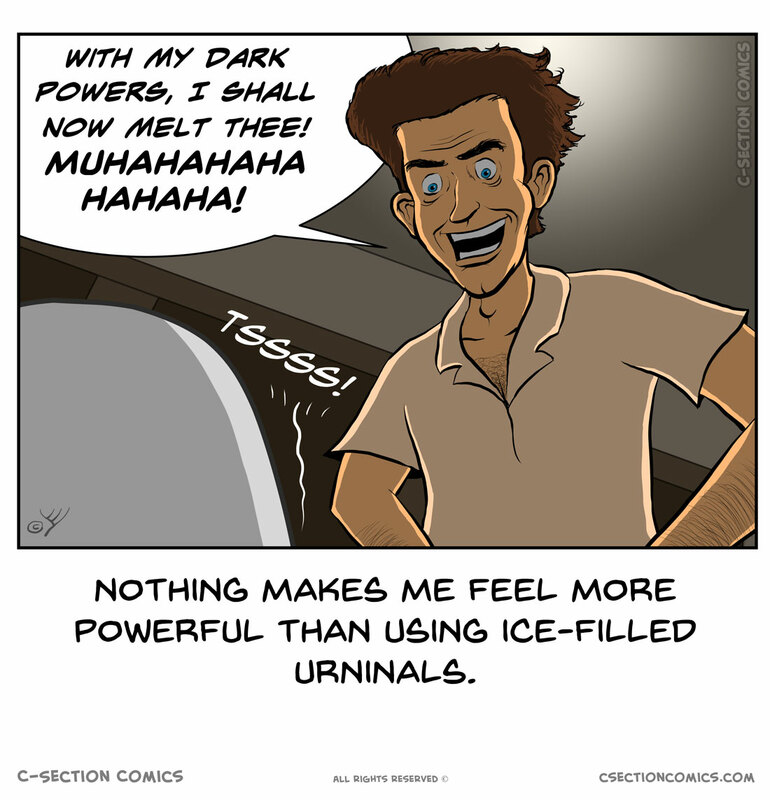 Do you enjoy using urinals that have ice in them, or do they annoy you? Do you prefer urinals that have that fly sticker on them? Or just clean urinals? Tell me in the comments.